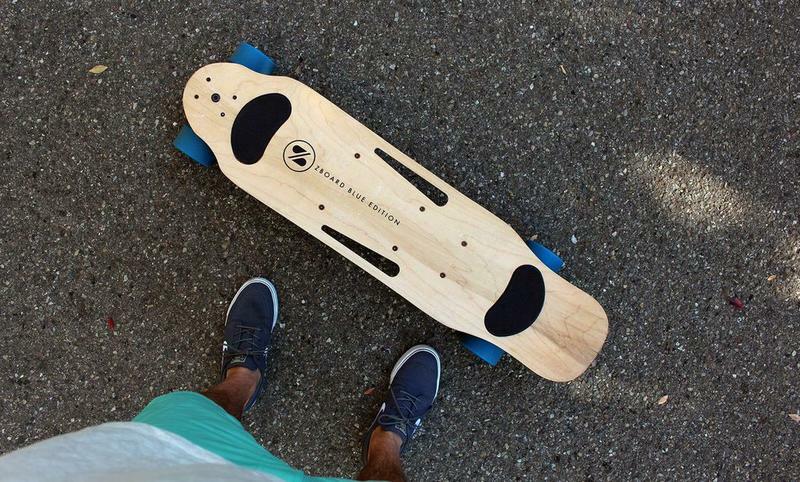 You buy a longboard skateboard to cruise. Go down to the boardwalk and carve out the pavement with the sun beaming down; if you live by the coast, you know there are few things better. But, wow, skateboarding can be work. Not with the ZBoard. That’s something you need to experience to truly understand. 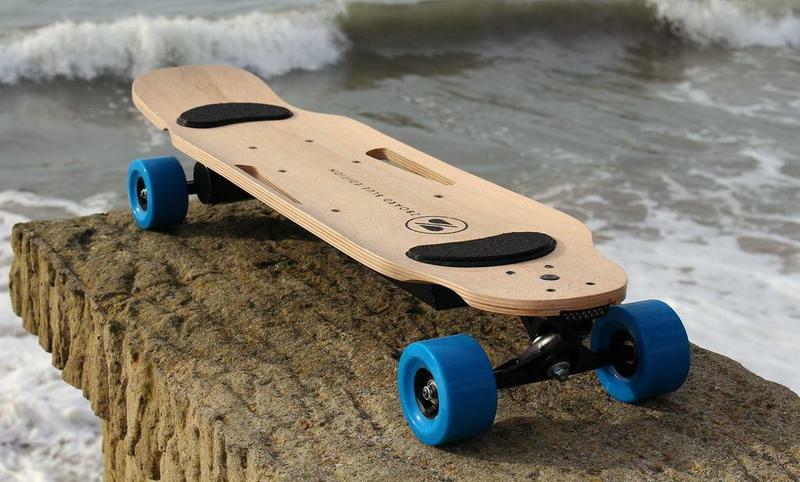 Electric skateboards can be so much darn fun. But the original ZBoard is already old-school. 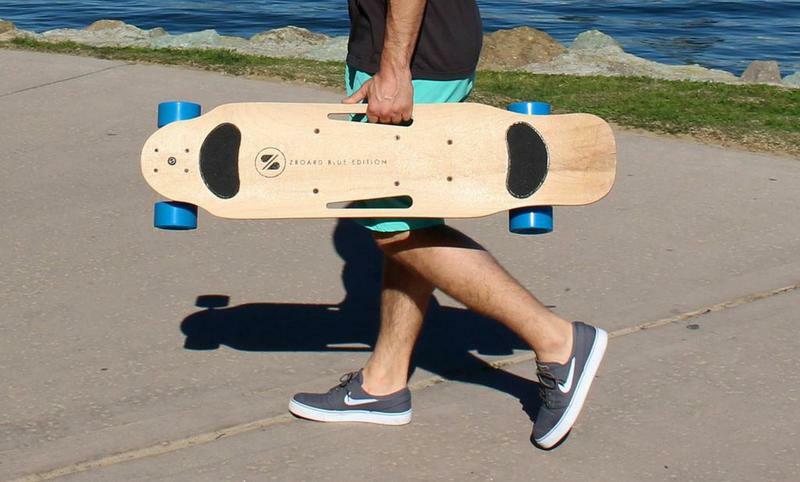 The company on Tuesday announced the ZBoard 2, “the lightest, fastest, most fun ZBoard ever.” And, man, just look at that fresh new design; it makes the old one look like a leftover garage project. 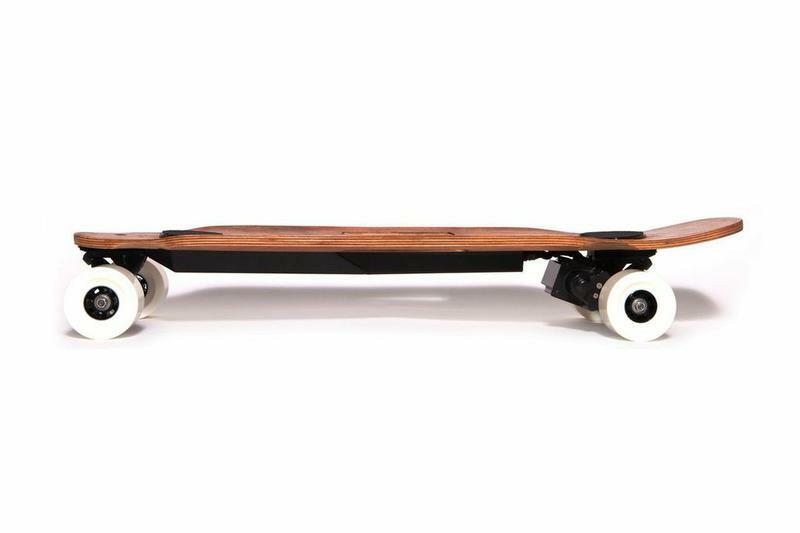 I call dibs on the ZBoard 2 Pearl with white wheels. Here’s the thing: the original ZBoard was pretty terrific, and very easy to use. But it was Olympic weight-lifter heavy, making it difficult to carry around. The new one is much lighter (16 pounds and 18 pounds, as opposed to the 25 pounds and 33 pounds of the originals) is also solid for two other reasons: speed and range. 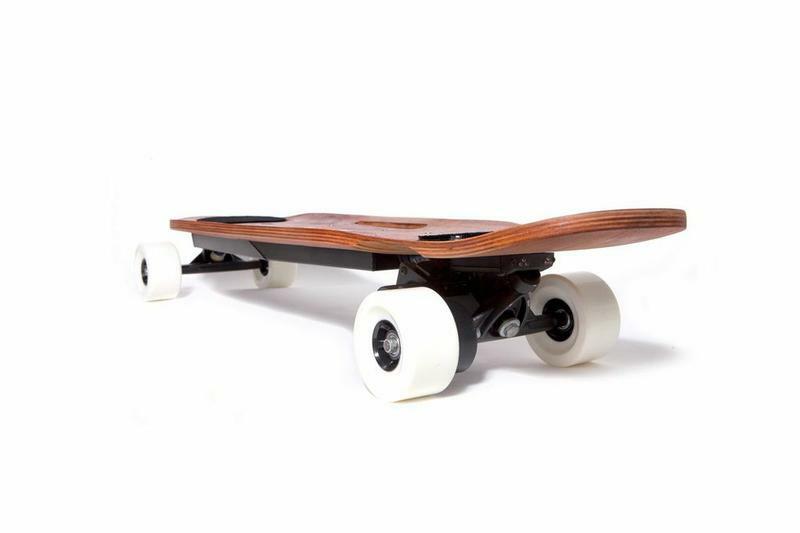 The original model had a respectable top speed of about 15 MPH (or 18 MPH with a Urethane Speed Wheel upgrade). 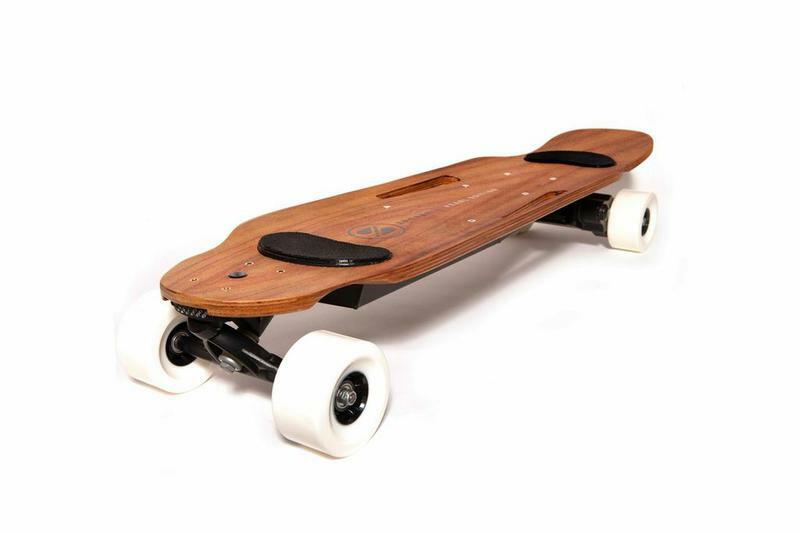 But thanks to some engineering wizardry and refinement, the out of the box speed of the ZBoard 2 is 20 MPH. Trust me: 15 MPH on a skateboard is fast, so I can only imagine how crazy 20 MPH will feel with an ocean breeze flowing through my long blonde locks. (I have short brown hair.) 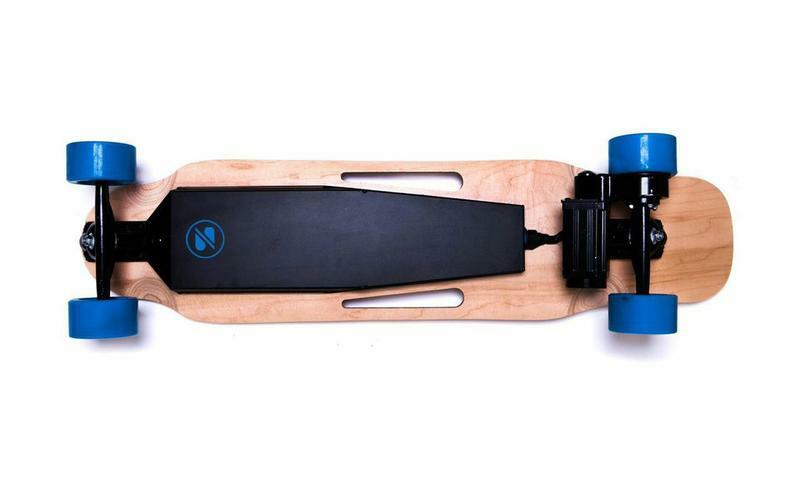 Other refinements include quicker recharge time for the ZBoard 2 Blue model, which also has a 16 mile range; the ZBoard 2 Pearl will recharge in about 2.5 hours, and get about 24 miles. If you really wanted to you could ride this thing to work and back (or around your school’s campus). The weight sensing control scheme is a little tough to get used to, at least in the original model, but ZBoard promises the new models will be easier to use than ever. “No previous skateboarding experience is required,” ZBoard says. I beg to differ with that statement, but then again I have yet to use the new model. 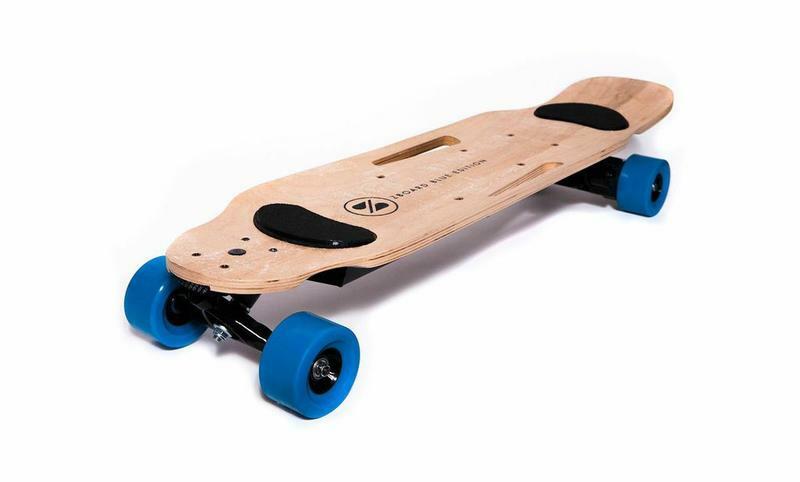 Aside from the more streamlined design and range, the board itself looks a lot sleeker, like a board you’d actually want to ride, and not some weird experiment Doc Brown came up with in his spare time. 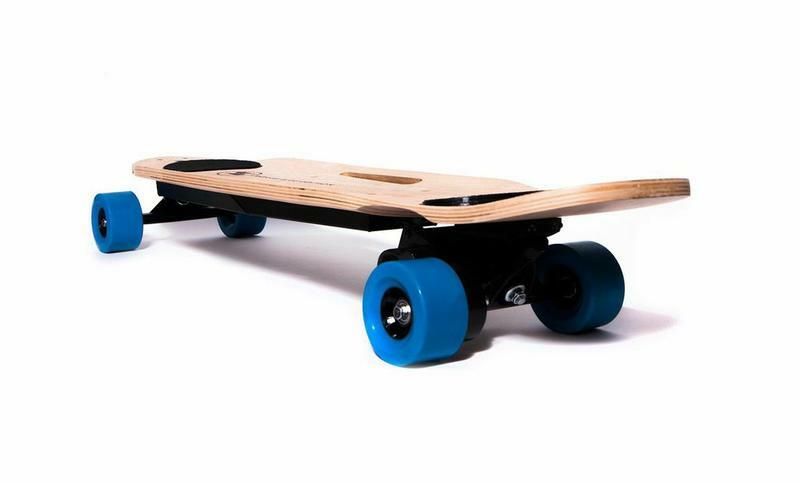 The LED headlights and tail lights are still there, and there are now two cutouts to carry the ZBoard 2. One great new addition is an integrated battery meter, giving you an idea of how much you have left before you’re basically stranded. 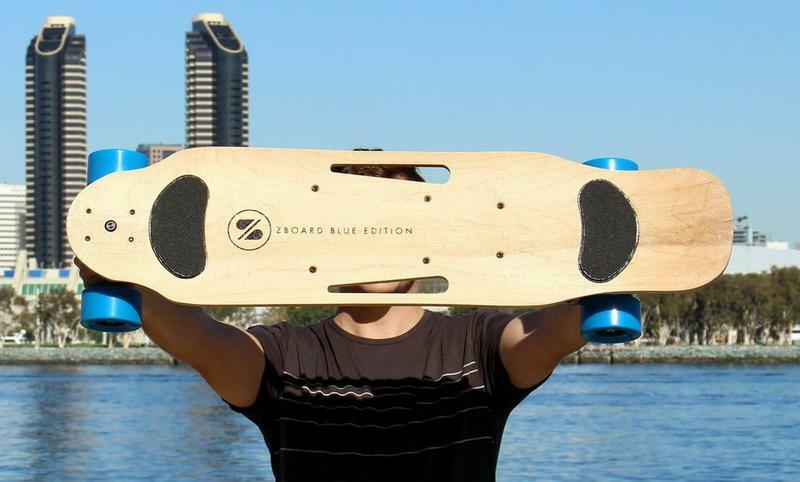 ZBoard is launching on IndieGoGo today, so jump on it now if you’re interested in experiencing the electric skateboard craze. The ZBoard 2 Blue is going for $999, while the zBoard 2 Pearl is going for $1,199 (or $1,099). Hopefully we’ll get our feet on this guy during the week here at CES.